Yes my friends, these worn-in leather sneaks deserve some loving. Amore. Love. 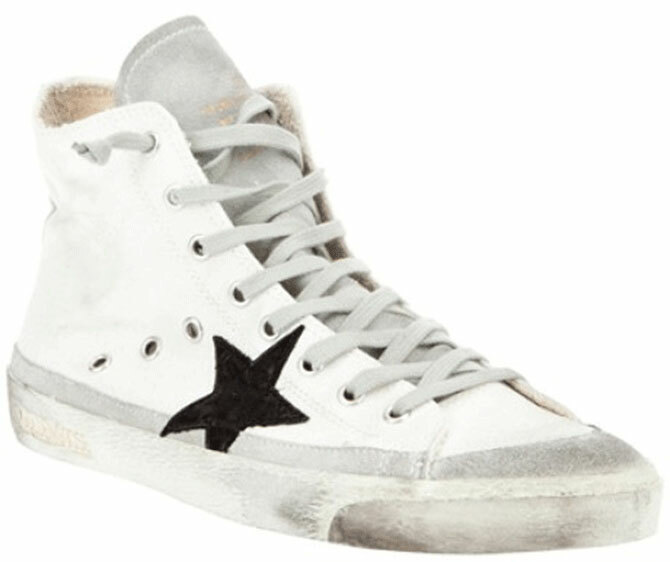 Yes, I have fallen head over heels for an expensive pair of distressed sneakers – but not just any sneakers! 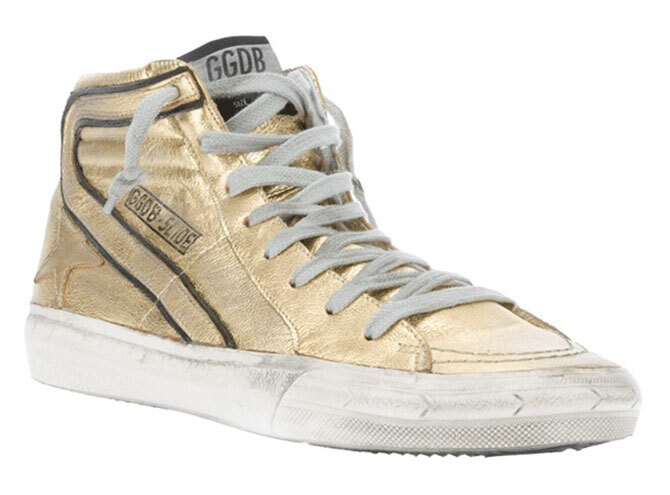 They are Golden Goose Deluxe Brand sneakers. If it weren’t for the price tag I would be strutting around in them day and night. Now don’t take offence Converse. You will always be my trusty, reliable sole mate. But, at the moment I can’t get the stars out of my eyes. Created in 2000 by Alessandro Gallo and Francesca Rinaldo, the brand was born from their common love of fashion and art. The Golden Goose Deluxe Brand blends traditional Italian tailoring with British-style elegance, thus making them a cult label in all the best boutiques throughout Italy, the United States, France, Japan and now Australia. 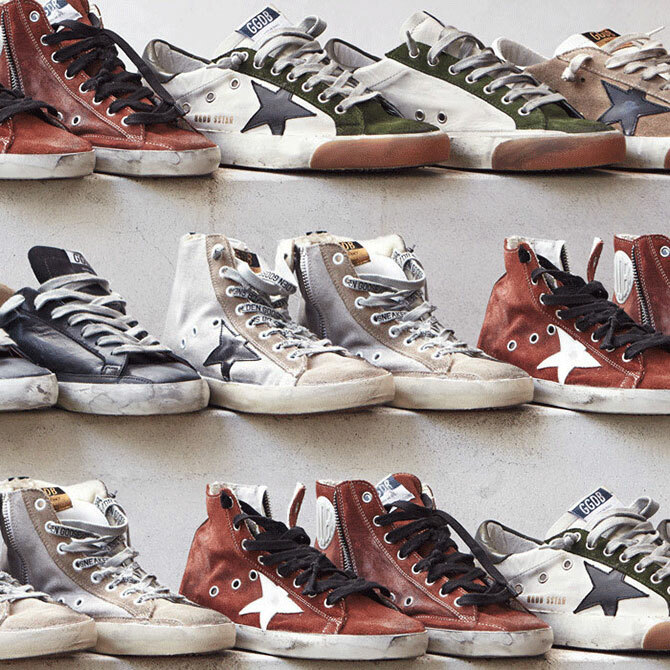 The Golden Goose bespoke signature style and popularity is the result of sneakers that combine vintage style with modernity. The sneakers reference retro prints, colours and shapes, while maintaining a contemporary sophistication. All made in Venice, the range includes both high and low top styles that suit any taste. Keep an eye out for the star – the GGDB marking. Oh and don’t be deterred by their aged appearance, it’s simply the result of fashion meeting art.